Even though there are many newcomers in the Korean music industry these days, it is still hard to refute SNSD’s status as the most legendary girl group of South Korea. Why, you may ask? For a start, SNSD is the only girl group in the second K-pop generation whose record is equal to the record of boy groups, confirming the fact that SNSD’s fanbase, who is known as Sone, is as gigantic as the fans of boy groups. The same thing also can be said for SNSD’s concerts which are almost always sold-out no matter where and when they occurred. 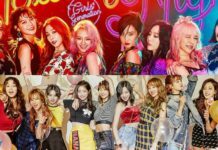 Thus, in this article, Channel-Korea will provide you with information about SNSD’s concerts which consist of the Dream Concert in 2013 and 2014, the Japan tour in 2013 and 2014, the world tour in 2013-2014 and 2015-2016, the concert in Philippines, and concert schedule in 2017. So, stay tuned! SNSD became the last performer at the Dream Concert 2013. The event was held on 11 May 2013, and took place at the Seoul World Cup Stadium. The audience of the show were also able to watch other idol groups and singers’ performances such as SHINee, B2ST, INFINITE, 2AM, U-KISS, ZE:A, KARA, 4Minute, T-ara, SECRET, SISTAR, B1A4, EXO, Girl’s Day, VIXX, BTOB, Huh Gak, SPEED, and EvoL. Here you may watch SNSD’s performance of The Boys and I Got a Boy at the Dream Concert 2013! Just like in the previous year, SNSD were also included as performers at the Dream Concert in 2014. The event was held on 7 June 2014, and took place at the Seoul World Cup Stadium. Not only featuring SNSD, the 50,000 person audience of the Dream Concert 2014 were able to watch other artists’ performances as well, such as Apink, B2ST, 4Minute, B1A4, T-ara, ZE:A, VICC, U-Kiss, BTOB, EXO, GOT7, Rainbow, Block B, Boys Republic, Dal Shabet, Topp Dogg, F.CUZ, SPEED, Tiny-G, LU:KUS, Lip Service, BESTie, Say Yes, SoReal, C-Clown, N-Sonic, M.Pire, OFFROAD, Jjun, HALO, and YB. Here you may watch SNSD’s performance for Mr.Mr on Dream Concert 2014! SNSD held their Japanese concert tour in 2013 ‘Girls’ Generation II: -Girls & Peace- 2nd Japan Tour’ from 9 February to 21 April. The concert was one of the strategies to promote their second Japanese album Girls & Peace. SNSD’s second Japanese concert tour covered seven cities with a total of 20 shows, such as Kobe on 9 and 10 February at Kobe World Kinen Hall, Saitama on 16 and 17 February, 19 and 20 March, and 4 and 5 April at Saitama Super Arena, Niigata on 23 and 24 February at Toki Messe, Fukuoka on 27 and 28 February at Marine Messe Fukuoka, Hiroshima on 9 and 10 March at Hiroshima Green Arena, Osaka on 26 and 27 March at Osaka-jo Hall and 20 and 21 April at Osaka Municipal Central Gymnasium, and Nagoya on 9 and 10 April at Nippon Gaishi Hall. There were six acts and one encore, and the double encore which added the Japanese version of Gee only occurred at Osaka on 21 April 2013 as the last concert of the tour. All 227,795 tickets were sold out, and gained a total of $ 21,596,205. In addition, the Saitama’s concerts held on 4 and 5 April were also broadcast on WOWOW’s music channel on 16 June 2013. SNSD held another Japanese concert tour in 2014 ‘Girls’ Generation Japan 3rd Tour 2014’ from 26 April to 13 July. The concert was one of the strategies to promote their third Japanese album, Love & Peace. 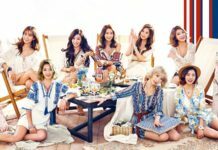 SNSD’s third Japan concert tour covered seven cities with the total of 18 shows, such as Fukuoka on 26 and 27 April at Marine Messe Fukuoka, Hiroshima on 6 and 7 May at Hiroshima Green Arena, Kobe on 23, 24, and 25 May at Kobe World Kinen Hall, Nagoya on 5 and 6 June at Nippon Gaishi Hall, Osaka on 19, 20, and 21 June at Osaka-jo Hall, Saitama on 27, 28, and 29 June at Saitama Super Arena, and Tokyo on 11, 12, and 13 July at Yoyogi National Gymnasium. There were six acts and one encore for the whole tour. All 238,324 tickets were sold out, and gained a total of $ 27,380,323. In addition, the Yoyogi’s concert held on 13 July was also broadcast on WOWOW’ music channel on 23 September 2014. SNSD held their world tour in 2014 ‘Girls’ Generation World Tour “Girls & Peace”’ from 8 June 2013 to 15 February 2014. The tour is marked as SNSD’s concert tour across Asia, despite being named ‘world tour’. SNSD’s Girls & Peace World Tour covered seven countries with a total of 10 shows, such as South Korea on 8 and 9 June 2013 at Seoul Olympic Gymnastics Arena, Taiwan on 20 and 21 July 2013 at Taipei Arena, Indonesia on 14 September 2013 at Mata Elang International Stadium Jakarta, Singapore on 12 October 2013 at Singapore Indoor Stadium, China on 9 and 10 November 2013 at Asia World Arena Hongkong and 15 February 2014 at Cotai Arena Macau, and Thailand on 11 January 2014 at Impact Arena Bangkok. All 127,616 tickets were sold out, and gained a total of $ 14,997,998. In addition, the Jakarta’s concert was also aired on Indonesian television broadcast station Indosiar. SNSD held the last concert of their third Japan tour at the Tokyo Dome. The concert which was held on 9 December 2014 is marked as the first SNSD concert after Jessica Jung’s departure on 30 September 2014. In this concert, SNSD performed the double encore with the songs Indestructible and Love & Girls. All 55,000 tickets were sold out and gained a total of $ 4,229,966. SNSD held another world tour in 2016 ‘Girls’ Generation 4th Tour: Phantasia’ from 21 November 2015 to 8 May 2016. The tour is marked as SNSD’s first concert tour after Jessica Jung decided to leave the group on 30 September 2014. SNSD’s Phantasia tour covered five countries with a total of 13 shows, such as South Korea on 21 and 22 November 2015 at Seoul’s Olympic Gymnastics Arena, Japan on 12 December 2015 at Nippon Gaishi Hall Nagoya, 18, 19, and 20 December 2015 at World Memorial Hall Kobe, and 23 and 24 December at Saitama Super Arena, Thailand on 30 and 31 January 2016 at Impact Arena Bangkok, Indonesia on 16 April 2016 at Indonesia Convention Exhibition Jakarta, and Taiwan on 7 and 8 May 2016 at Taipei Arena. All 147,992 tickets were sold out and gained a total of $ 22,300,000. Although SNSD did two world tours for their concerts, the Philippines was never included as a country where they performed. However, we found out that SNSD did visit the Philippines to perform at a charity concert entitled Dream Kpop Fantasy Concert. The event was held on 11 January 2013 and took place at Mall of Asia Open Grounds. Not only featuring SNSD, other Korean idol groups were also included as the performers, such as INFINITE, EXO, U-KISS, TASTY, and Tahiti. The event was brought by KMH Entertainment and the tickets were divided into six categories: Bronze for PHP 1,000 in which the ticket holders would stand on the outer pit section, Silver for PHP 3,000 in which the ticket holders would stand on the outer pit section, Gold for PHP 6,000 in which the ticket holders would stand on the outer pit section, VIP PLatinum for PHP 0,000 in which the ticket holders would stand on the outer pit section, VIP Diamond for PHP 11,000 in which the ticket holders would seat on the elevated platform seating, and Super VIP for PHP 11,000 in which the ticket holders would stand in the pit section. The audience could buy the tickets via the official website of SM Tickets, Ticketnet, and Ticketworld. Unfortunately, SNSD never did have any concerts scheduled in 2017, as they only released their sixth full album Holiday Night for their 10th year anniversary. 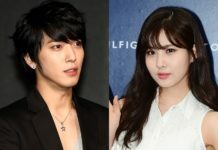 In addition, the departure of Tiffany, Sooyoung, and Seohyun from SNSD’s home agency SM Entertainment after they decided to not renew the contract, also played a role. However, there may be a chance for SNSD to have a concert in the future because it was reported that the fans somewhat met Sooyoung’s mother on one occasion, in which she told the fans that SNSD may release another album in the next two years. As of now, SNSD members are having individual schedules while still keeping in touch with each other. The most recent one is when all the eight girls gathered and greeted the fans by uploading group pictures on 31 January 2018. Hopefully, when SNSD’s reunion happens, another concert tour will occur so the fans will have something to look forward to! Did Key SHINee Ever Got Plastic Surgery? Lets Compare Before and After Debut Photos! Short Black Hair, Han Hyo-joo Looks More Fresh and Young!